In 1972, Dr. Robert Beeman created Beeman Precision Airguns, which is one of America's most successful airgun companies and the largest company dealing in precision adult airguns. While other importers and distributors have attempted to copy the Beeman formula for success, none have succeeded. Beeman continues to import finely manufactured airguns made by experienced German craftsmen. Beeman guns are designed and manufactured specifically for the needs of American shooters. 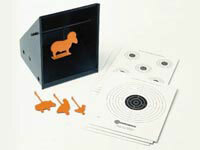 Beeman offers a full line of air rifles, air pistols, pellets and accessories for all types of shooters. 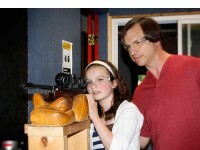 Beeman specializes in precision air rifles for both beginner and expert shooters. There are Beeman air rifles for every budget, with Sportsman Series air rifles starting at only $59.99. 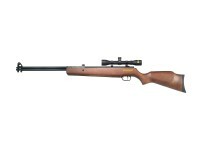 Beeman air rifles are available in several styles including break barrel rifles and PCP rifles. Break barrel rifles by Beeman are powered by a spring-air piston that is cocked manually after each shot by pulling down the barrel of the gun from the stock. Break barrel air rifles are reliable all-day shooters that don't require any extra gear or external air source to shoot. PCP air rifles pack a lot of power and rely on on-board air reservoirs filled with high pressure air. PCP air rifles can be refilled manually with a pump or from another tank such as a scuba tank. Beeman also designs and produces air pistols for plinking, target shooting and for precision 10 meter shooting. Beeman air pistols are available in CO2 powered models and spring stroke action models. 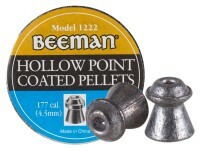 Don't forget that Beeman also has developed an entire line of pellets, ammunition and accessories. Start here and find the right Beeman air rifle or air pistol for you and don't forget Beeman pellets and accessories.